Real estate agents: Are you making promises you can’t keep? The market is slowly improving. 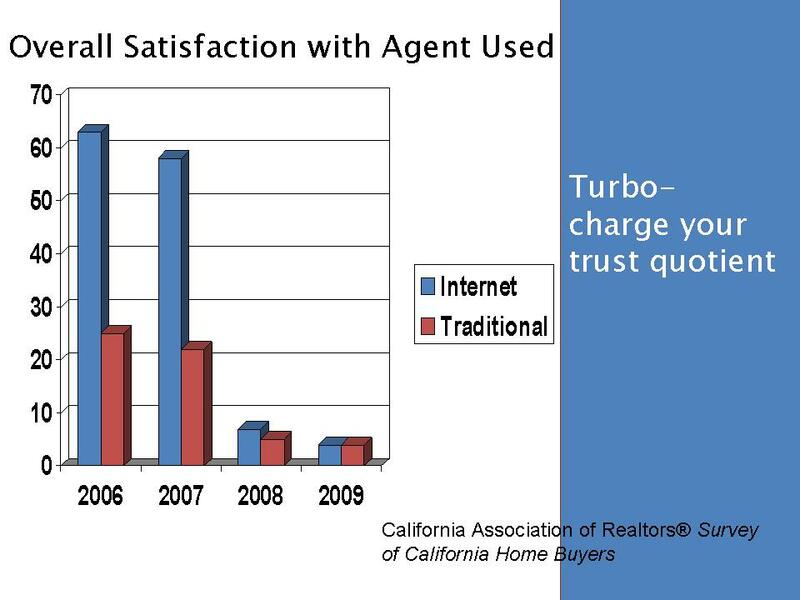 Yet, many agents are not changing how they do business to take advantage of it. Historically, agents have ‘snared’ clients by promising they could get something for them, do better than that other agent, or represent them so client always won–and made the other client lose. (Not always legal is it?). In a market ruled by short sales, foreclosures, and other ‘not-controllable’ outcomes, that sales strategy just comes back to hit the agent in the face! According to a recent California Association of Realtors’ survey, buyers gave agents an overall satisfaction score of 4–out of 100! Obviously, this over-promise strategy didn’t work very well with buyers! 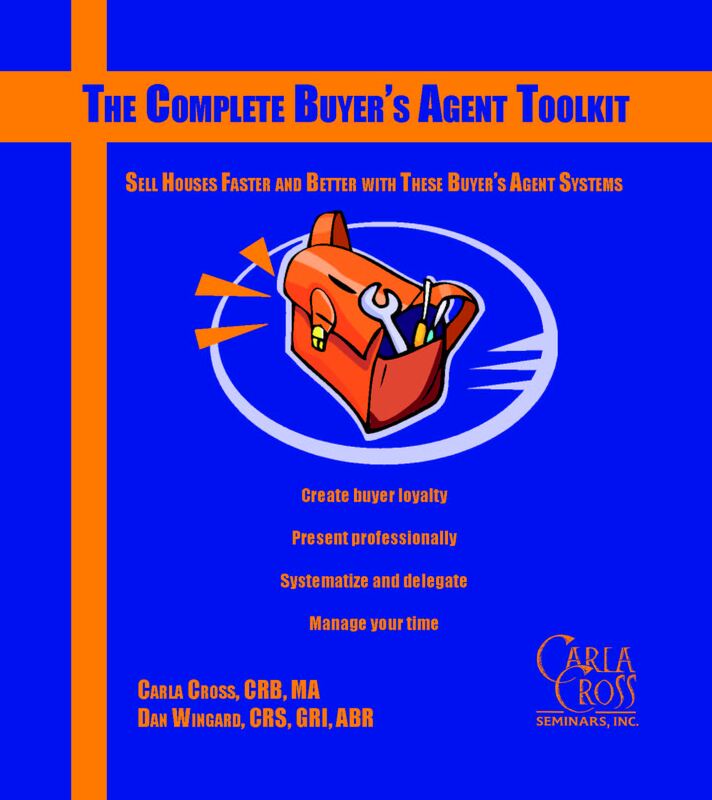 One of the areas buyers said agents were deficient in were negotiation skills. Although I think that’s true, I believe the anger is caused by something else. Unfortunately, many agents are still using that old-style sales technique of making promises they can’t keep. I think they made promises to buyers, and, when they couldn’t get what they promised, the buyers thought the agent didn’t have negotiation skills. Better negotiation skills isn’t going to make a bank sign something the bank has not intended to sign! This is not the era of ‘over-promise’ and ‘under-deliver’. It is the era of ‘under-promise and over-deliver’! For example: The agent is attempting to get the bank to accept an offer on a foreclosure. To get that buyer to work with him, the agent has promised he will ‘get that bank to sign on the dotted line’. NOT! Now, the agent has over-promised to get the client, only to let the client down. The client believes the agent doesn’t have sufficient negotiating skills. 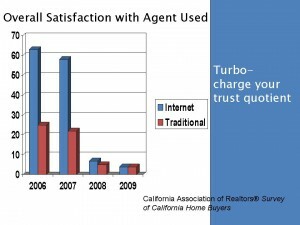 Actually, the agent has used deceptive, over-kill sales tactics with the client. It’s a situation the agent can’t hope to win. Agents who are working like this must think clients are really, really dumb. Have you heard that marketing saying? We all want to believe there’s a tooth fairy. We love to find ‘found money’. We want to believe all those smooth salespeople that say they can get us something for nothing. But, when it doesn’t happen, we turn against the salesperson. 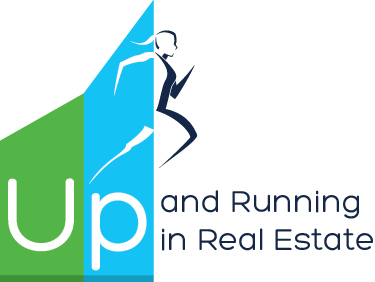 That is certainly happening in the real estate industry. Instead of using the old sales tactic of over-promising, learn to do a consultative interview with your potential client. Tell him what you can and can’t do. Give him your credentials and testimonials. Promise him you will rely on other experts in areas where you aren’t an expert. Become a ‘partner’ in solving problems. You aren’t a magician, you don’t control sale outcomes, and you aren’t an attorney–or a judge, or a bank. If you want to build a loyal clientele over time, you must be ready to lose to win. Sometimes you will lose a client to that old style manipulative agent. But, that client will come back to you, and be more loyal that ever. Remember, ‘the customer doesn’t know what he’s getting–until he doesn’t. And, when he realizes what has been done to him, he will appreciate your candidness and steadfastness. That’s the way to build loyalty over decades. What do you do to build loyalty and counter the claims of that old-style ‘over-promising’ agent? Whether you’ve been in the business 3 minutes or 30 years, it is time to polish your buyer presentation skills. I’ve put together all the resources you need: Buyer presentations, with a PowerPoint presentation, and your own guide, where I coach you as a presenter. This is a really comprehensive guide, with over 150 pages and several presentations–plus dozens of checklists and documents. 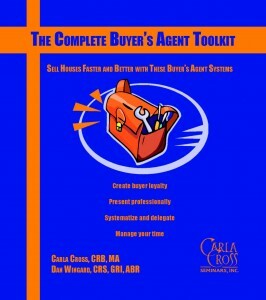 Take a look at The Complete Buyer’s Agent Toolkit. Do You Have your Buyers’ Process ‘Systematized’?